Home » Kia Soul » What Trim Levels are Available for the 2019 Kia Soul? What Trim Levels are Available for the 2019 Kia Soul? The 2019 Kia Soul, likes its 2018 model predecessor, has 3 distinct trim levels. These are titled as follows: Base, +, and !. All 3 of these trim levels vary quite extensively, so let’s take a look to see how they differ with a trim level comparison of the 2019 Kia Soul. Each 2019 Kia Soul trim has a different engine, so let’s start there. For the 2019 Kia Soul Base that would be a 1.6L Inline 4 engine with 130 horsepower and 118 lb-ft of torque. This also relates to fuel economy. 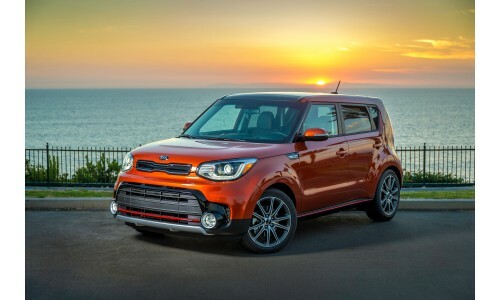 With a manual transmission the 2019 Kia Soul Base has a combined fuel economy of 27 mpg. With an automatic transmission that increases to a combined fuel economy of 28 mpg. The 2019 Kia Soul Base trim has a starting MSRP of $16,490. For its engine, the 2019 Kia Soul + upgrades to a 2L inline 4 engine. This ups its power output to 160-161 horsepower and 149-150 lb-ft of torque depending on your powertrain configuration. Additionally, despite the more powerful engine, fuel economy remains almost identical. With only an automatic transmission option, the 2019 Kia Soul + has a combined fuel economy of 27 mpg. The 2019 Kia Soul + trim has a starting MSRP of $20,490. 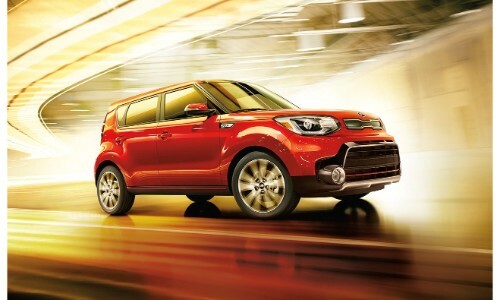 Finally, there is the 2019 Kia Soul + with its 1.6L turbocharged inline 4 engine. This provides the most power out of the 3 trim levels while matching the excellent fuel economy of the Base trim level. The 2019 Kia Soul + has 201 horsepower, 195 lb-ft of torque, and a combined fuel economy of 28 mpg! The 2019 Kia Soul ! trim as a starting MSRP of $22,990. The 2019 Kia Soul is out and available at most Kia dealerships nationwide. Give us a call here at Palmen Kia to learn more or schedule a test drive online. The Palmen Kia dealership is located in Kenosha, Wisconsin within Kenosha County. What are the Differences Between the 2020 Kia Soul and Soul EV? This entry was posted on Wednesday, September 5th, 2018 at 10:39 pm	and is filed under Comparisons, Kia Soul. You can follow any responses to this entry through the RSS 2.0 feed. You can skip to the end and leave a response. Pinging is currently not allowed.